Generally, remarriage will have no effect on child support. While some try to argue that, if an ex-spouse remarries someone wealthier, they can increase their child support, this is usually not persuasive to the court. Rather, it looks to the income of only the legal parents, and not step-parents, when considering child support obligations. The remarriage to a wealthier spouse will not affect your own income, or that of your ex-spouse. Therefore, a remarriage will generally not lessen the child support obligation. Again, the courts will determine child support based off the parent’s income, and remarriage will usually not affect that joint parental income. Sometimes, things will get trickier when there is a child born of the remarriage. Currently, the case law is still developing, but as a trend, it seems that courts are considering the birth of new children if a petition for modification is before it. However, it is important to remember that such a birth will only be a factor considered by the court, who maintain discretion in determine child support obligations, and thus, there is no way to predict with certainty what the court will do given the above facts. Will Spousal Maintenance (aka Alimony) Change? For other clients, their main concern is whether remarriage will influence maintenance, or spousal support, obligations. The frustrating answer is, of course, it depends. For a more concrete answer, it is important that your attorney has your Stipulation of Settlement and/or Final Judgment of Divorce in front of them for ready reference. It’s within these documents that the answer to the maintenance question lies. Typically, if a payee spouse (the spouse receiving the support payments) is the one to get remarried, the obligation of the payor spouse (the spouse making the support payments) will terminate upon that remarriage. As standard practice, many attorneys contain this language in the Stipulation of Settlement they draft for their clients. However, this may not be the case in all situations, and therefore it’s crucial that your current attorney be allowed to review these documents. Alternatively, if you are responsible for making maintenance payments to your ex-spouse and you (the payor spouse) are the one getting remarried, chances are you will still be responsible for those support payments. What this means is that after your remarriage, unless it is to the payee spouse, your maintenance payments will have to continue. Again, your Stipulation of Settlement may say something different, but, on the whole, the previously mentioned situation is typical. Because each case sets forth its own set of circumstances, each divorce is different. This leads to different Stipulations of Settlement and Final Judgments of Divorce. With all the different possibilities, it is very important that you seek the advice of an experienced Long Island Divorce Attorney. If you find yourself contemplating remarriage and wish to understand how it will impact your divorce, we can help. 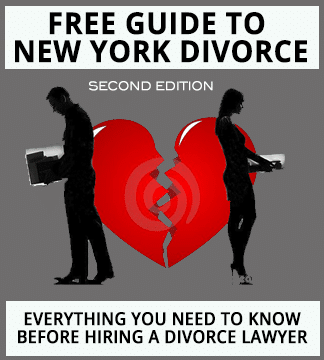 Contact our Long Island Divorce & Family Law firm at 631-629-2545 to set up your free consultation.